Collecting and analyzing data is essential for the growth and optimization of any business. According to Forbes connecting different objects to the Internet of Things (IoT) is revolutionizing the way whole industries and cities are operating. Waste management stands out as a large global industry that desperately needs a transition to IoT-based technology. This transition should drastically improve the waste collection process by making it a data-driven process. Today’s waste collection solutions begin with garbage trucks that follow set routes and schedules to pick up waste from homes and businesses. This process could be vastly improved, as these routes and pickup times are often not based on data. It’s easy to infer that many of the garbage cans on a particular route aren’t full and could potentially be picked up a day or two later. One could also imagine a similar scenario where a can would fill up before its scheduled pickup time, leaving home and business owners stuck with nowhere to put their excess waste. 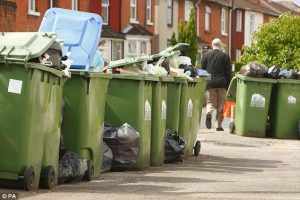 The waste collection industry’s first attempt at improving its standard process came in the form of smart garbage bins, or bins with sensors on them to report weight and fullness. The folks at Wired.com even published an article that discussed how smart bins would revolutionize the way garbage is collected throughout American cities. What they didn’t foresee; however, was that smart bins would do more harm than good by driving up costs instead of reducing them. Imagine a city has 100,000 garbage bins. This means 100,000 sensors that need a power source, potential maintenance and a method for communicating with a central database. All of these factors made smart bins a poor choice for cities looking to make their waste collection process more efficient to save money. 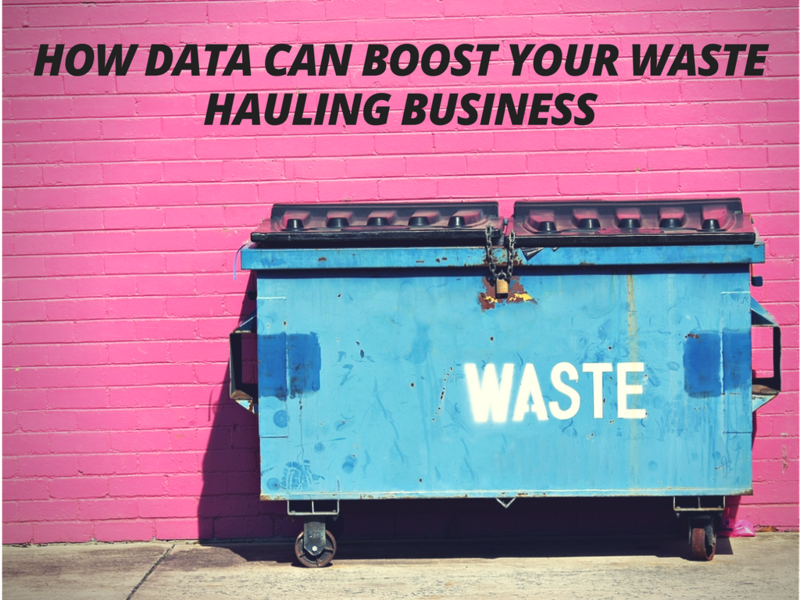 As a result, many haulers and municipalities grew weary of making waste management a data-driven process, leading to other potential solutions. Next came companies such as GreenQ, that feature a technology that’s built on truck-based monitoring. 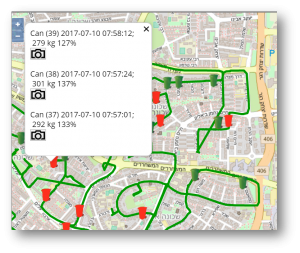 This form of monitoring presents a far better solution, as haulers and municipalities don’t have to put a sensor on every garbage bin, but only need to outfit their trucks with sensors. These smart garbage trucks could then replace the bins as the objects that would bring IoT technology to the waste collection industry. As IoT technology continues to develop and break into the waste management industry, some haulers will begin incorporating monitoring technology before others. These haulers will have a strong selling point for their potential clients, as they’ll be able to provide a more efficient service. Haulers will be able to use their collected data to plan optimal pickup times and routes due to the bins’ fullness. Their clients could then rest assured knowing that they’re not overpaying for a service that may be picking up empty cans or allowing the cans to overflow. Also, these haulers would be saving money from reduced man hours and fuel costs, so they could potentially offer rates lower than their competitors. The transition of the waste management industry to a data-driven industry will only make the waste collection process more efficient. This efficiency brings a double benefit as garbage collectors (haulers and municipalities), and clients could save money by introducing IoT technology to an industry in desperate need of a revamp.